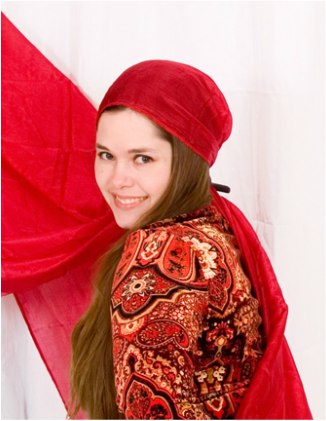 Huraiva, Troupe Director, Troupe Member 2008-Current Huraiva founded Hathor's Hips in 2008. As troupe director, she choreographs many of the troupe's group dance number and organizes the performance sets to maintain a variety of dance numbers within a required time limit. She also handles the booking for all troupe members. Huraiva has worked with the members of Hathor's Hips to create a unique version of group improvisation based on fusing Disco moves with traditional Belly Dance vocabulary. She has also helped create a group improvisation vocabulary that is as diverse as the membership of Hathor's Hips. 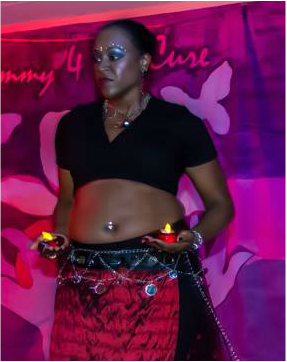 Nai'ilah, Troupe Member 2014-Current Belly Dance is an art form that Nai'ilah has always wanted to learn. However, she was discouraged due to the Hollywood, and general public perception. All she knew was that she needed an outlet to relieve stress while getting a good workout in and while having fun. In 2009, she found Huraiva Alimah and the rest was history. She received her invitation to join Hathor’s Hips in 2014. She is moved by the sisterhood that exist between the members of the troupe. She enjoys learning and exploring many different forms of dance. Currently her favorite is probably Egyptian with a blend of Tribal Fusion. She enjoys the costumes and most of the props used in the dance form. She also enjoys the many different styles of Belly Dance music. In addition to studying under Huraiva, she enjoys attending workshops as well as expanding her knowledge with videos. It is exciting challenge to expand her knowledge and skills while she finds her bodily voice in this dance form. 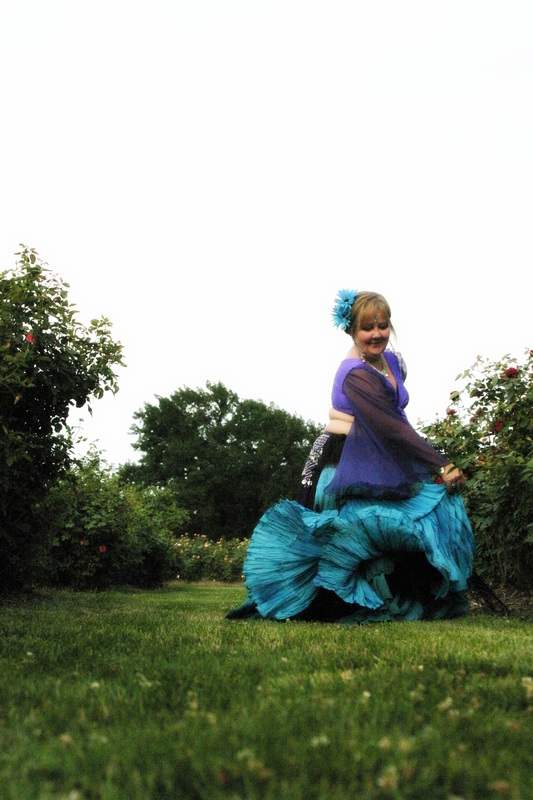 Adell, Troupe Member 2010-2012 Adell started classes with Belly Dance Topeka in January 2009 and joined Hathor’s Hips in January of 2010, but has enjoyed taking belly dance classes since 2002. 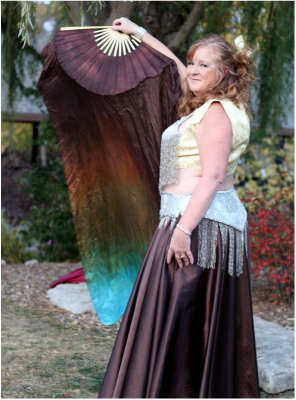 Adell enjoys the music and props involved in belly dance, as well as the ability to invent your own dance style. 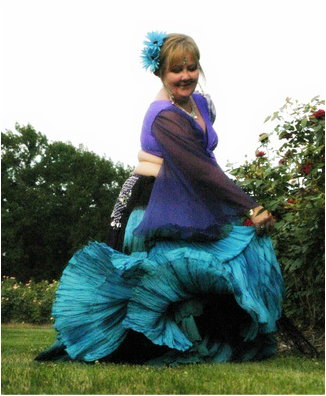 She loves being able to choreograph solos to nontraditional belly dance music and has performed at several different venues in the Topeka and Manhattan area. Hathor’s Hips has provided Adell with confidence to know that you can dance beautifully no matter what your body type is. She spent most of her first year in the troupe dancing and performing while pregnant, and believes the movements and focus on muscle control helped her stay positive and eased the pains of labor. If Adell would have to choose a favorite prop, it would probably be a sword. She would like to use this very masculine object to highlight the graceful actions of a solo performance in the future. Cyra, Founding Member, Troupe Member 2008-2013 Cyra was a founding member of Hathor's Hips and began belly dancing in 2006; in fact, she was one of Huraiva's first students! Cyra says she took that first class on a dare from a girlfriend over margaritas, and from the very first lesson she fell in love with the entire art form--the lovely moves so well suited to the feminine form and the seductive rhythms and music turned a simple dare from a friend into a lasting passion for the dance. In particular, Cyra enjoys performing with her veil and her zills. In addition to studying with Huraiva, Cyra has been taught by Maya Zahira and has attended numerous workshops, including the opportunities to learn with Amaya and John Compton. While she has studied several forms of the dance, including Tribal Fusion, Romany and various folkloric styles, Cyra says she remains a Cabaret girl at heart. Farasha, Troupe Member 2011 -2013 started dancing in 2007 with friends when they decided to have a girls' night out weekly activity. Her favorite forms of bellydance (so far!) are Tribal Fusion and Spanish Gypsy. Jessica has performed choreographies with Hathor's Hips, as well as solo improvisationals with her snakes Vera and Sunny. Future aspirations include improving her skills with zils, working on her solo and group improv abilities, and costume creation. Lisa, Troupe Member 2012-2014 Lisa started belly dancing in 2002. She started right before what she terms, “the Shakira boom.” Belly dance was Lisa’s first real dance training [although she has since taken ballroom dancing]. In addition to studying with Huraiva, Lisa has also been taught by Maya Zahira; and for a short time was an assistant-belly dance instructor at KSU for Maya Zahira. Lisa tries to attend as many workshops as possible, and had the opportunity to learn from Karen Barbee. Lisa loves the confidence belly dancing cultivates in women. Her favorite story is of watching a woman back herself up to a mirror, stare at her booty, sigh and say, “Sometimes I wish it was bigger.” Lisa has studied several styles of belly dance, but plans to increase her training in fan veils, sword work and layering shimmies on EVERYTHING! Mary, Troupe Member 2011-2014 Mary started dancing in 2007 with friends when they decided to have a girls' night out weekly activity. Her favorite prop is her sword. 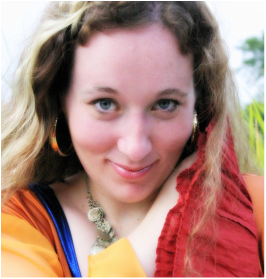 She joined Hathor's Hips Troupe in 2011 and has performed in various venues in Topeka and surrounding areas. Her belly dance goals include working on slow, sinuous movements and precision, and her performance presence. Nadima, Founding Member, Troupe Member 2008-2013 Nadima began her dancing studies in the fall of 2006. This was the first ever dance class she had taken. She was wary of her dancing skills, but with the help of her teacher, Huraiva, she decided, that possibly, she could actually dance. Nadima is a founding member of Hathor’s Hips. She enjoys the variety of topics that are studied in the troupe performance class, as well as the advanced class. Her favorite prop is the fan veil. When she dances with fan veils, it feels as if she is a kid again, playing outside. Sheer joy. Nadima augments her studies with workshops, and has enjoyed workshops with Princess Farhana, Masani, John Compton and Amaya to name a few. Nadima feels that she has learned valuable information at all the workshops she has attended. What does Nadima like about belly dancing……? The sisterhood. She has made some amazing friends through her dance studies. There is a wide variety of women who are in the troupe. They meet once (or twice) a week and have an amazing time. They laugh, they joke, and they encourage each other and yes, occasionally laugh at each other. She always feels better when she leaves class than she did when she arrived. If you are interested in joining the troupe, an invitation to join may be extended to you as a student in the advanced belly dance class after completion of at least one session of advanced classes. Invitations are only extended upon unanimous agreement of all current, active troupe members.